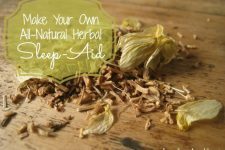 Throughout time and cultures there have been several all-natural remedies created based on herbs known to help induce a restorative sleep. A common remedy has always been an herbal tea blend — one designed specifically with herbs that produce a sedative effect…taken just before bedtime. 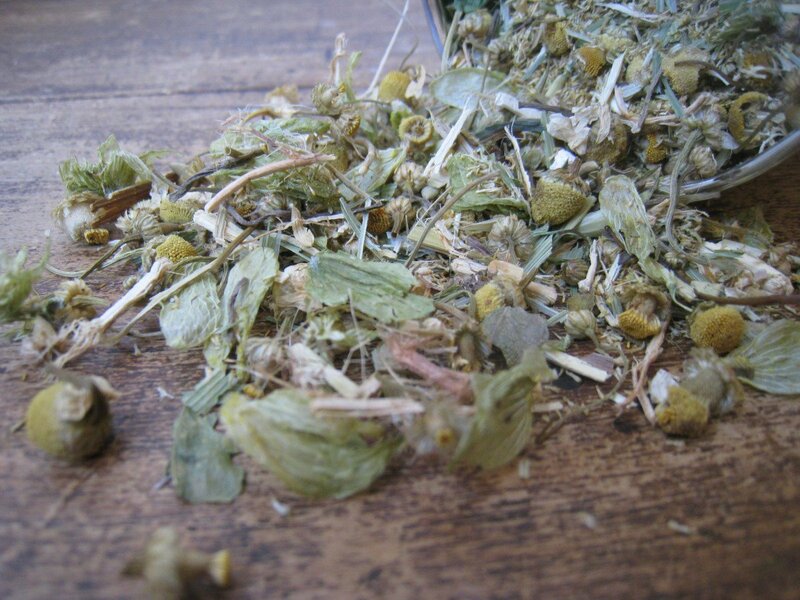 Chamomile flowers provide soothing relief for the nervous system. Passionflower will bring a sense of calm. 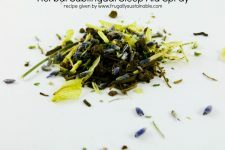 You can find the recipe for those remedies above by clicking the links…and today I’d like to share with you my recipe for an Herbal Bedtime Tea! *Purchase organically-grown or wildcrafted herbs whenever possible. Parts are measured by volume not weight. Measure the parts of each of the herbs listed and mix in a large bowl until well combined. This tea is mild enough to use nightly. Take a cup 30 minutes before bed. While all of those herbs are wonderful, the best sleep inducing herb I’ve ever used & use often for the last almost 40 years is the kitchen herb rosemary.. I make a tea of it (yes, its a bit bitter but you get used to it) add a bit of honey or maple syrup and sip a nice warm tea about 30 minutes before you lay your head down and you will go right to sleep. I had insomnia when I was in high school quite bad and this was a life-saver for me. In my 50s, its still my go-to, it works so good and without the grogginess of many of the other herbs..
Also, valarian smells & tastes horrid and while it works fairly good sometimes, for many, including me, after taking it for a while, it does the complete opposite of what its reputed to do.. it makes me bounce off the walls… ugh. Do you feel as though your sleep cycles are balanced? I’m looking for help with that problem. Try doing some milk thistle. Sometimes the liver will play a part in many disorders of imbalances in the body. 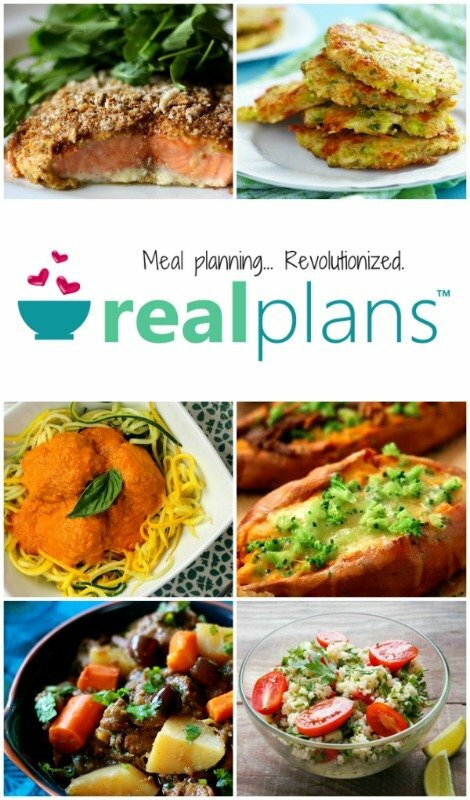 Do you use fresh or dried Rosemary? Thanks, I’ll try it. 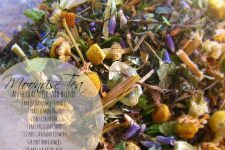 I’ve been looking for a herbal sleep-inducing tea (NOT chamomile) that uses herbs I have, not ones I have to buy from expensive websites. Eh….how do you get PAST the smell of valerian? I keep it in a baggies inside a mason jar in my pantry and can still smell it sometimes. Not sure I could handle it in a tea!!!??? I make a tea of it with honey or maple syrup and sip a nice warm tea about 30 minutes before you lay your head down and you will go right to sleep. Lol…… Funny enough she gets allot of outside time….. Morning and night (we live in Florida, lots of sun and heat), that used to wear her out perfectly. Now, no matter how much outdoors activities she does, she still wants more. maybe the quiet time would benefit her more, calm her down and relax her. She used to LOVE bath time, but now she’s too worried about going down the drain! Lol…. Bless her. Yes chamomile is always warm, even when she exclaims she wants it cold. Hot cocoa might be a good idea, maybe fill her little tummy. As I’ve noticed a little ice-cream sometimes ‘wears her out’ must bulk her belly up. But not a solution is like to make regular! Maybe its just the ‘chat’ gene….. Girls in my family love to talk and she’s deff a gabber! ….. Thank you so very much for your advice, I will keep plugging away for the right ‘bed time combo’. Sounds much like my now 4.5 yo at around the same age. We found that dropping his 2nd sleep helped and also my husband would sit and just let him talk and spill out everything in his head. Once his head was less overflowing he was able to calm down. Good luck. 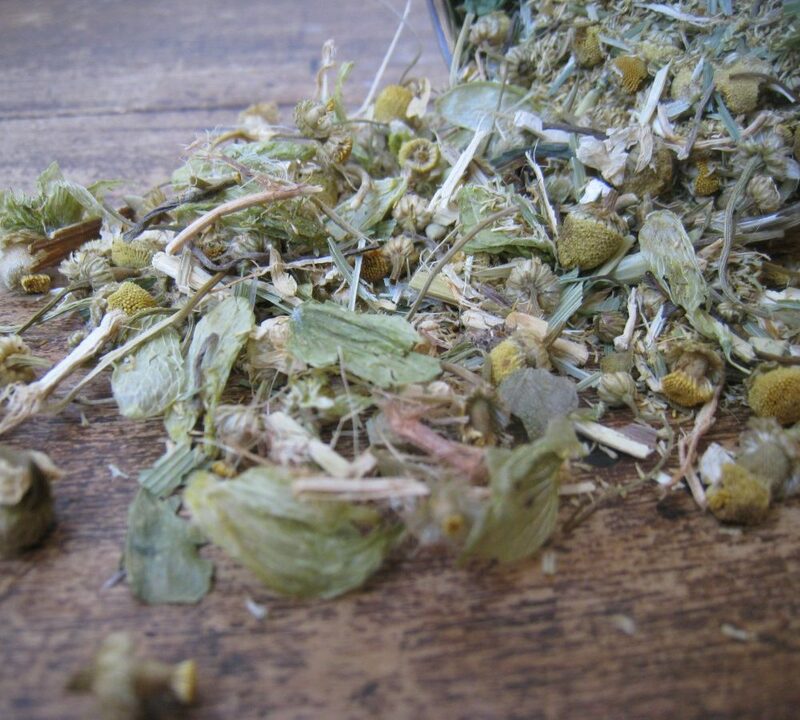 Jojo, have you tried lemon balm (Melissa officials) tea for your 2 yr old? It’s very relaxing and also yummy! I have used valerian glycerine, and it takes about 3 weeks of use before it works. And you will have some vivid dreams. Alteril is one of the best natural sleep aids in the market. It is made of a combination of the most common natural sleep helper ingredients. Ack – Valerian smells so bad I can’t get close to it, let alone drink it! Looking forward to trying some of the other options people have listed. 1 heaped teaspoon each of Valerian, Damiana and Passionflower. 1 hour before bed, strain the tea. In a separate glass mix honey and boiled water (to taste). When honey has dissolved add the strained tea to the honey mixture, stir and drink. The valerian smell is still there, but lessened, and I find I can accept it because to me, it is now a restful smell, bringing calm and sleep !